Nationality: American. Born: New York City, 25 September 1952. Education: Graduated from Princeton Day School, 1970; graduated from Cornell University, 1974; attended Julliard School. Family: Began domestic partnership with the advertising executive Gae Exton, 1977 (partnership ended 1987); married the singer-actress Dana Morosini, 1992, sons: Matthew and Will, daughter: Alexandra. Career: First appeared on television in the soap opera Love of Life , 1974–76; made his Broadway debut in A Matter of Gravity , 1976; founded Christopher Reeve Foundation, 1996 (merged with the American Paralysis Association in 1999 to become the Christopher Reeve Paralysis Foundation); named Vice President, National Organization on Disability, 1997. Awards: British Academy of Film and Television Arts, Best Newcomer Award, 1979; special Obie Award "for his courageous work on behalf of Chilean artists," 1988; Walter Briehl Human Rights Foundation Award, 1988; Emmy, Outstanding Informational Special, for Without Pity: A Film about Abilities , 1996; Screen Actors Guild Award, Outstanding Performance by a Male Actor in a TV Movie or Miniseries, for Rear Window , 1998. Agent: Betsy Berg, William Morris Agency, 1325 Avenue of the Americas, New York, NY 10019, U.S.A. Address: Christopher Reeve Paralysis Foundation, 500 Morris Ave., Springfield, NJ 07081, U.S.A. Still Me: A Life , New York, 1998. "A Down-to-Earth Actor . . . A Soaring Superstar," interview with Linda Watson, in Teen Magazine (New York), June 1983. "Eat Your Heart Out, Lois," interview with Jeannie Park, in People Weekly (New York), 20 April 1992. "He Will Not Be Broken," interview with Michelle Green, in People Weekly (New York), 15 April 1996. "Local Hero," interview with Karen Schneider, in People Weekly , 27 January 1997. "Reeve's Super Struggle," interview with Nancy Shute, in U.S. News & World Report (New York), 11 May 1998. "In Step with Christopher Reeve," interview with James Brady, in Parade , 22 November 1998. Havill, Adrian, Man of Steel: The Career and Courage of Christopher Reeve , New York, 1996. Reeve, Dana, Care Packages: Letters to Christopher Reeve from Strangers and Other Friends , New York, 1999. Rosenblatt, Roger, "New Hopes, New Dreams," Time (New York), 26 August 1996. Roberts, Jerry, "Peers Pile Praise on Reeve," Variety (New York), 29 September 1997. Smith, Dinitia, "A Life Before and a Life After," New York Times , 30 April 1998. Schwarzbaum, Lisa, "A Steely View," Entertainment Weekly (New York), 8 May 1998. Prager, Joshua, "Superman Transforms Spinal Research," Wall Street Journal (New York), 18 November 1998. Rudolph, Ileane, "Still Super," TV Guide (Radnor, PA), 21 November 1998. Smolowe, Jill, "Christopher Reeve," People Weekly (New York), 15 March 1999. Gallagher, Leigh, "Man of Spiel," Forbes (New York), 22 March 1999. Jenish, D'Arcy, "Man of Steely Determination," Maclean's (Toronto), 7 June 1999. Younis, Steven, "Biography," Christopher Reeve Homepage www.geocities.com/Hollywood/Studio/4071 . April 2000. 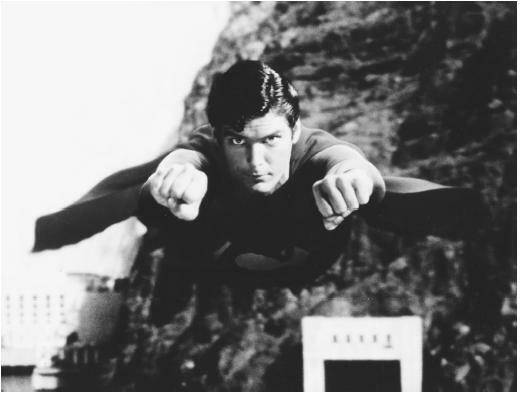 When a tall and gangly 15-year-old named Christopher Reeve joined a summer stock company in Williamstown, Massachusetts, thereby embarking on a professional acting career, he had no idea that he would become world famous for two very different reasons: enacting a comic book character in the movies, and dedicating his formidable energies to finding a cure for spinal cord injuries. Despite Reeve's varied career on stage and the large and small screens, two images—simultaneously contradictory and complementary—will forever define him in the public imagination: Reeve in the familiar blue-and-red costume of Superman, and Reeve seated in a wheelchair. Reeve's early experiences at the Williamstown Theater Festival quickly led to other professional acting opportunities. He took time off after high school to join a national touring company and performed opposite Celeste Holm in the Hugh and Margaret Williams comedy The Irregular Verb to Love. He enrolled as an English major at Cornell shortly after the tour and continued to act in professional plays as his schedule permitted. He studied at the famed Julliard School in New York City during his final collegiate year and, to help his bills, landed a recurring role in the TV soap opera Love of Life. He debuted on Broadway opposite Katharine Hepburn in A Matter of Gravity in 1976, and soon thereafter traveled to Hollywood and secured a minor role in his first film: the Charlton Heston vehicle, Gray Lady Down. Reeve's acting experiences before the camera were thus relatively limited when he auditioned for the role that would catapult him into worldwide stardom: Clark Kent of the Superman movies. As Tom Mankiewicz, the co-writer of the first two Superman movies remembered, "Chris was tall, good looking and nervous. He was perspiring and, well, that doesn't go over real well if you're supposed to be Superman. Then he hopped up on the edge of a balcony, looked at Margot Kidder and said, 'Good evening, Miss Lane.' Geoffrey Unsworth, the cinematographer, turned to me in that moment and whispered, 'Oh, thank god!' It was just one of those fits. We had our Superman." At 6' 4," Reeve weighed only 189 pounds at the time of his audition, but a rigorous program of exercise and diet enabled him to add thirty pounds before the cameras rolled. He explained why he was chosen for the role in typical self-deprecating fashion: "Ninety percent of why I have the part is because, when the makeup is done, I look like I walked right out of the comic book. The other ten percent, I hope, is my acting ability." Internationally famous as a result of his Superman role in four films, the handsome and athletic Reeve insisted on maintaining a stage acting career and alternated his movie schedule with frequent appearances in Williamstown productions and other shows. His post- Superman stage work has included roles in Fifth of July (1980), The Aspern Papers (London, 1984), The Marriage of Figaro (New York, 1985), Summer and Smoke (Los Angeles, 1988), and A Winter's Tale (New York, 1989). He has also been a frequent guest on television, often playing himself on such programs as The Muppet Show in 1979, The Carol Burnett Show in 1991, and The Unpleasant World of Penn and Teller in 1994. Despite the pressure to keep playing "good guy" movie roles, Reeve began playing characters far removed from Clark Kent, with his performances as Basil Ransome in The Bostonians , Jonathan Fisher in Street Smart , and Lewis in Remains of the Day among his best. Sidney Lumet, who directed him in Deathtrap , said Reeve "was always an arresting talent and did first-class work from the beginning. . . . There was real courage evident in him as an actor. What was always startling to me is this assumption that people who play serial parts—Superman or James Bond—can only play those parts. Chris Reeve is the perfect example of the antidote to that assumption." Though he never again hit the heights of popularity that he achieved with the Superman movies, Reeve was pursuing a solid movie and stage career when an accident changed his life forever. On 27 May 1995, he was thrown head first from a horse during a competition near Charlottesville, Virginia, and the accident instantly rendered him a quadriplegic. With commentators writing endlessly about the ironies, the actor best known for playing the virtually invulnerable "Man of Steel" in the movies soon became the most famous disabled person on the planet. Reeve refused to let his profound injury stop his movie and television career. "I would say I'm making the best of a bad situation," he said in 1997. "Much has been lost. But it doesn't serve any purpose to dwell on it." His post-injury successes have included his first stint as a director (for the HBO film In the Gloaming , which won four Cable/ACE awards including Best Dramatic or Theatrical Special) and the role of Jason Kemp in the television remake of the Hitchcock classic, Rear Window. He also caused considerable controversy in early 2000 when he performed in a Nuveen Investments television commercial in which, through special effects wizardry, he appeared to walk. In the years since his accident, Reeve has worked tirelessly to raise funds for spinal cord injury research. "Now that I'm in the club," he said with reference to his own injury, "my job is to increase awareness and funding for research." An expert lobbyist and longtime social activist, he averages more than 40 speaking engagements a year and has raised millions for his nonprofit organization, the Christopher Reeve Paralysis Foundation. Though his ceaseless quest for a cure has alienated some disability-rights activists (who see the goal as quixotic and completely unrelated to the day-to-day realities of disabled people), Reeve has remained adamant in his belief that a cure will be found: "Curing paralysis—which will happen, it's just a question of time—will be one of the greatest achievements in the history of science. It will even dwarf the landing on the moon."